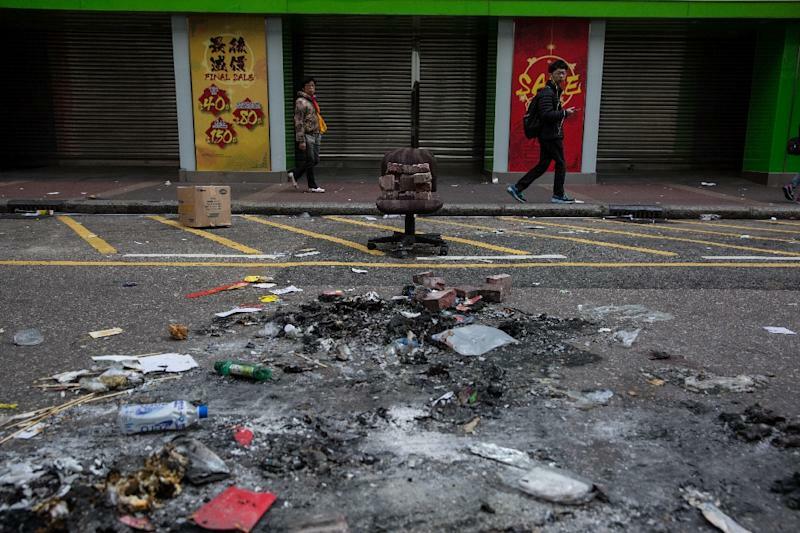 A senior Beijing official on Sunday blamed "radical separatists" for a riot that erupted in Hong Kong last week, the worst clashes the city has seen since mass pro-democracy protests. 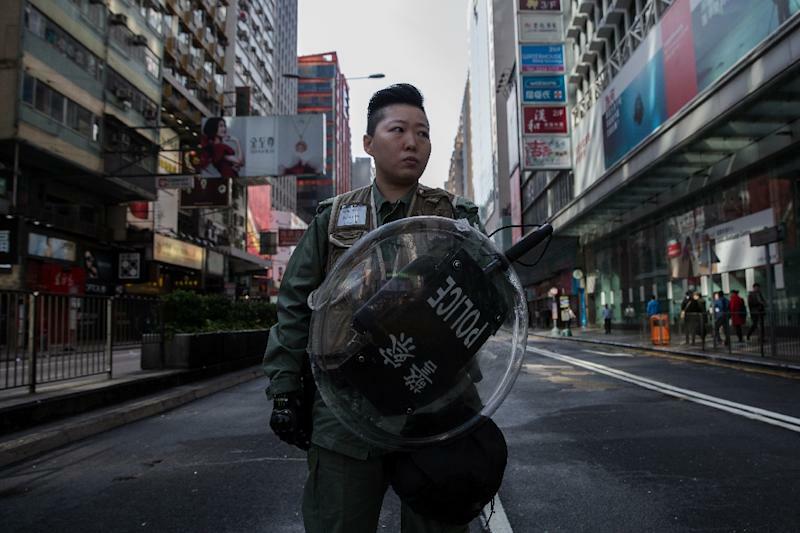 In unusually blunt remarks on a local Hong Kong matter, Zhang Xiaoming, Beijing's top representative in the semi-autonomous city, told reporters the violence that left dozens of police officers hurt also showed elements of "terror". "After the riot in Mong Kok, we are feeling very much shocked and saddened," Zhang told reporters. 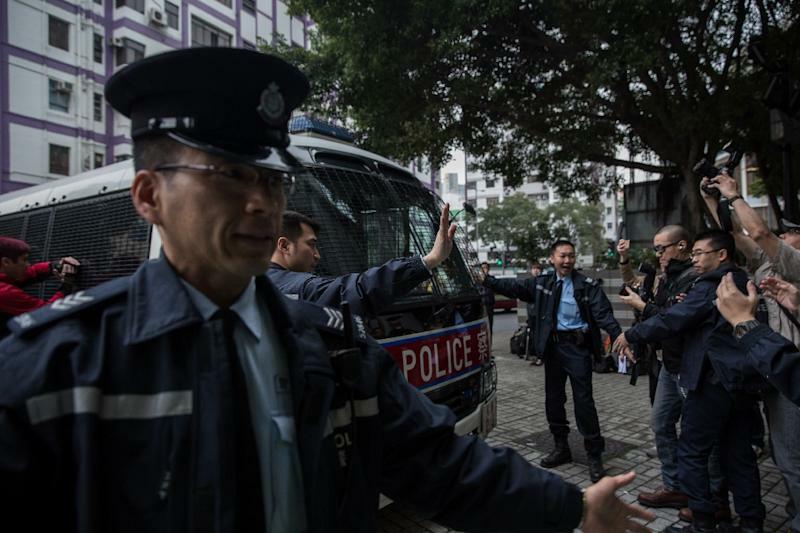 "We strongly condemn those radical separatists who have become increasingly violent, even (carrying out) activities that showed terror tendencies," the director of China's Liaison Office in Hong Kong said in Chinese. The clashes erupted when protesters gathered following official attempts to remove illegal hawkers from the busy commercial neighbourhood of Mong Kok during Lunar New Year celebrations late Monday night. Police fired warning shots in the air, while demonstrators hurled bricks levered up from pavements, charged police lines with homemade shields and set rubbish on fire. About 100 people were injured, including police officers, journalists and protesters, and 65 were arrested in the rare outbreak of violence. Some 30 have been charged with rioting. Hong Kong leader Leung Chun-ying said Sunday most of the protesters were unemployed and did not reflect mainstream views. "The majority of them are jobless. Quite many of them belong to radical political groups. Their political demands... cannot reflect the majority of society," the chief executive said. The battles have been dubbed the "fishball revolution" after a favourite Hong Kong street snack and reflect underlying tensions over the erosion of the city's traditions. Demonstrators included "localist" activists who want to restrict Beijing's influence on the city. Mong Kok, on the city's Kowloon peninsula, was the scene of some of the worst violence during the 79-day "Occupy" pro-democracy street protests in late 2014. The mass rallies seeking fully free leadership elections in the city blocked some major streets for more than two months. But the rallies failed to win concessions from the authorities. Pro-democracy activist Joseph Cheng said weighing in on the protest was a tactic by Beijing to justify its hardline approach to the pro-democracy movement. "The whole idea, of course, is to condemn the protesters in association with the pro-democracy movement in the public opinion war," the retired scholar, who has advocated direct leadership elections for Hong Kong, told AFP. "Condemning the riot has the purpose of justifying the hardline (stance) of Beijing,"
He added he expected the Hong Kong authorities to conduct a "neutral investigation" into the incident, despite the outspoken comments from Beijing. Hong Kong was returned by Britain to China in 1997 with its way of life protected for 50 years by a joint agreement. But there are fears that freedoms enshrined in the agreement are being eroded by Chinese influence, including the recent case of five Hong Kong publishers known for titles critical of Beijing, four of whom it is confirmed have been detained on the mainland.